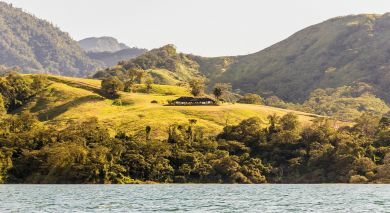 Arenal Kioro is a charming little upmarket resort surrounded by streams and lush green gardens. 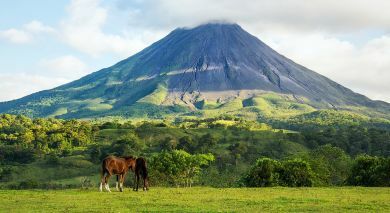 Close to the Arenal Volcano, expect the most magnificent views from the common areas and all the rooms. Stay in ensuite rooms that are spacious and well-equipped, with connecting rooms also available. 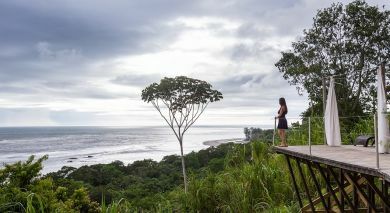 All rooms come with their own Jacuzzi within the bedroom, from which you can enjoy the breathtaking view of the volcano. 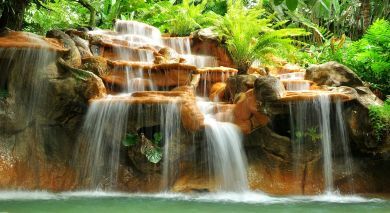 Relax in the gardens that are complete with seven hot springs open exclusively to hotel guests. In your free time, settle for a spa massage or take a dip in the outdoor swimming pool. Enjoy a lavish buffet breakfast spread every morning, and a la carte dinner at the two restaurants on the premises.